It’s official. Today’s snowstorm in Burlington, Vermont was the largest March snowstorm in the city’s history. 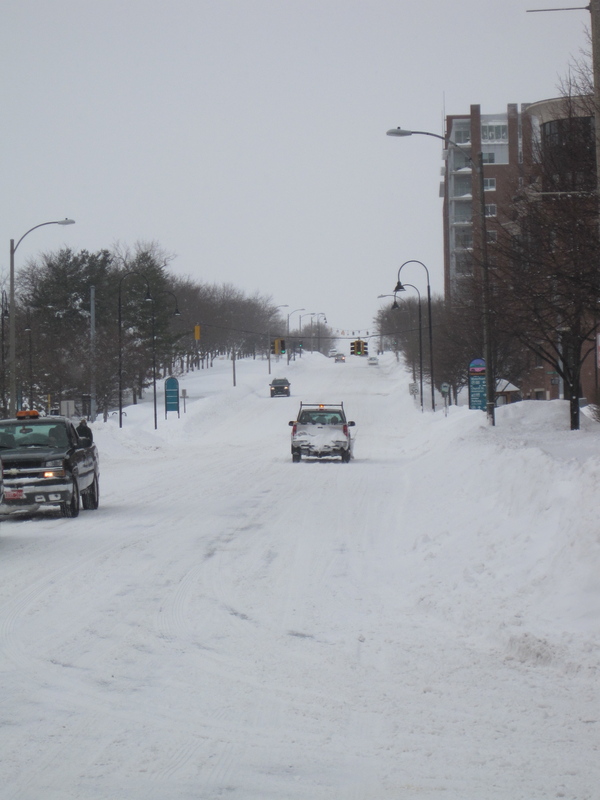 Battery Street in Burlington, Vermont, usually full of cars, is full of snow but lacking in traffic as the snowstorm comes to an end. It’s also now the third snowiest winter on record, so far, and more snow is in the forecast. First video, below, is what it’s like to drive in a whiteout, as I did today. Second one is Church Street in Burlington during a vain attempt to clear snow. Usually they get rid of all the snow on Church Street, which is a pedestrian mall. Third video is a Burlington sidewalk plow getting hopelessly stuck. This entry was posted on March 8, 2011 at 12:46 am and is filed under Uncategorized. You can follow any responses to this entry through the RSS 2.0 feed. You can leave a response, or trackback from your own site.